Have a project you'd like to speak to us about? 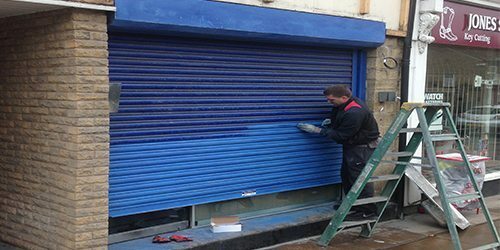 Spray Tone Coatings can recolour or refresh roller shutters to shop fronts and large commercial and industrial buildings either carrying out minor dent repairs or small corrosion repairs to the shutters. 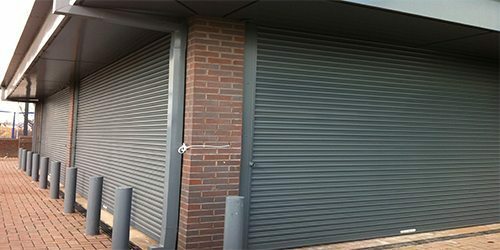 We can work with small private shop keepers to national large retailers throughout the UK. 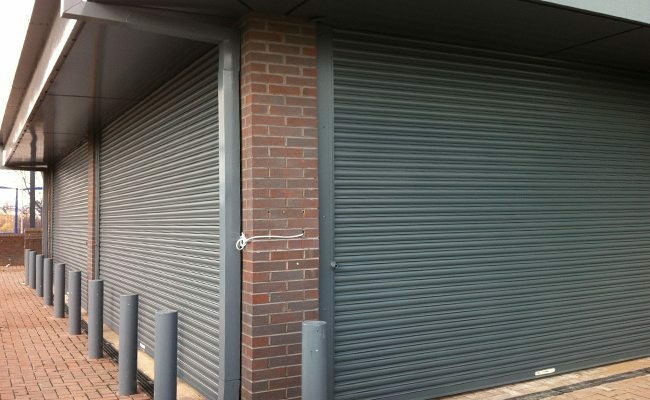 If your roller shutters are looking weathered and discoloured and are in need of a refresh or if they have been vandalised and need respraying Spray Tone Coatings can carry this kind of work out for you in or out of hours to suit. Are you rebranding? 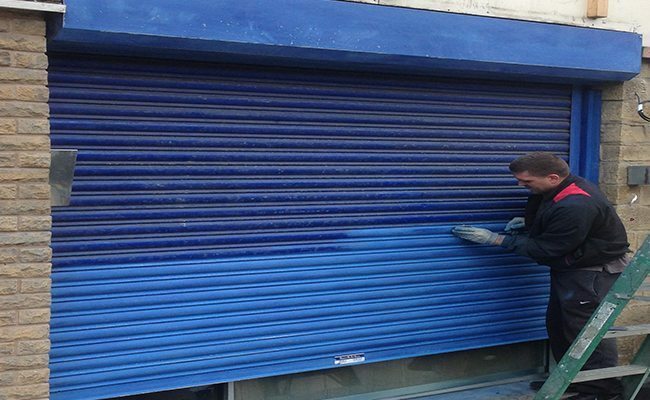 We can help recolour your roller shutters internally and externally. Choose from a large selection of RAL and BS numbers or we can colour match to any other colour you like. The paints and products we use offer a 15 year paint guarantee. Spray Tone offers an extensive range of both RAL and BS colours. These are standard industry colours for any paint work that needs to be undertaken. We can also offer a colour matching service for existing paintwork including metallic. Our staff are fully trained in spraying using a Wagner Airless Machine offering HVLP (High Pressure Low Volume) fine coat spraying, to minimalise any over spray and to also achieve the highest quality finish possible. All our paint technicians have CSCS cards so can work within the construction industry and are IPAF and PASMA certified. 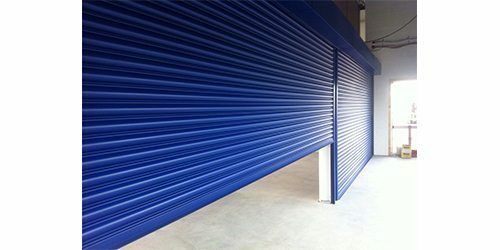 We use HVLP (high,volume,low,pressure) fine coat spraying units to minimise over spray and this results in a very high quality finish. We can use any RAL and BS colours or even match existing colours including metallic. We use high powered extraction systems whilst spraying so there is minimal impact to the environment and to the public. 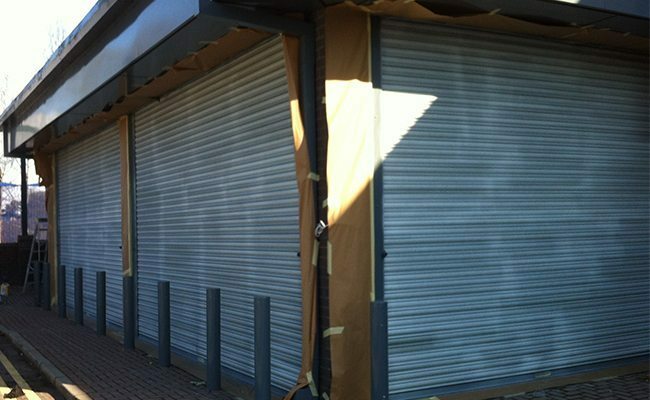 As per Health and Safety regulations with shop front spraying an area of 10 metres needs to be sectioned off . We will ensure that we meet all Health and Safety regulations. 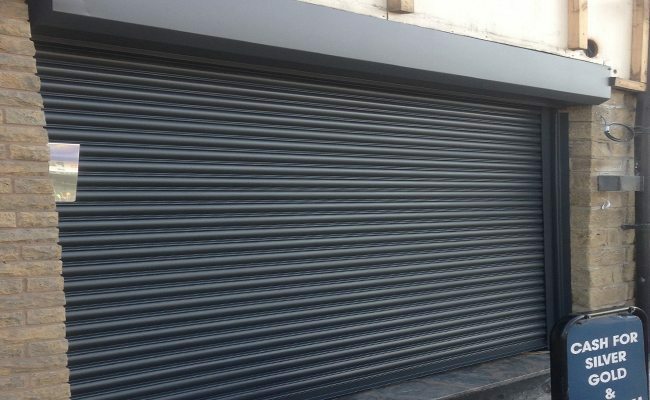 We promise to give all clients an unparalleled service in shop front spraying, we will finish all projects on time and to a high standard at a price that is very competitive, using only superior products.